The Geiger group of companies, based in Oberstdorf in the Allgäu region, undertakes delivery, building, renovation and waste disposal works for its clients in the infrastructure, real estate and environmental sectors. This medium-sized family business, currently managed by the third generation, is active far beyond the boundaries of the Allgäu. The group of companies employs around 2,500 people across more than 50 sites, not only in Germany but also in Austria, Switzerland, Luxembourg, France, Italy, Hungary and Romania. The period up to the end of 2019 sees the construction of the Boßlertunnel, for the new intercity express railway line to Ulm. The Geiger group of companies was awarded the contract to transport away and dispose of the excavated material. 10,000 tonnes of stone are weighed and loaded every day. And this is where the powerful Tally T2150S dot matrix printer with integrated cutter comes in. In special weighing containers, it prints weighing slips and the acceptance documents required for transporting and disposal of the material excavated from the tunnel. At peak times, up to 500 forms a day need to be printed, without affecting the loading process. The entire weighing process, including printing, takes no more than one minute. The construction industry is a tough environment. So you also need a tough dot matrix printer. 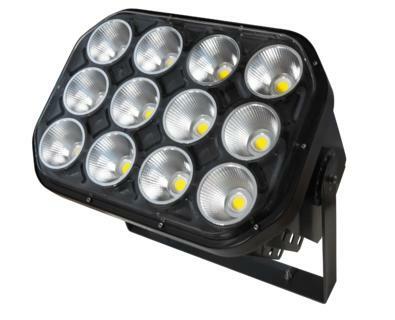 The Tally T2150S is totally resistant to external environmental influences. Temperature fluctuations or dust present it with no problems. 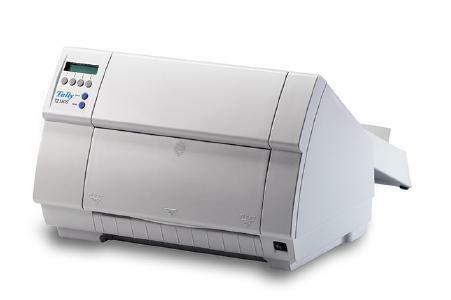 The Tally T2150S just remains cool and unswervingly carries on printing and printing. And it is so user-friendly that it immediately cuts the continuous form and transfers it via a chute system directly to the lorry driver at the weighing station. 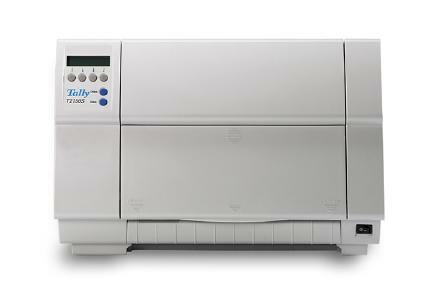 The people at Wilhelm Geiger GmbH & Co. KG are delighted with their extremely versatile power printer. In conjunction with the TallyCom III Ethernet Box, the printer can not only be used by multiple users simultaneously but is also easy to manage. All settings for the printer and interface can be configured from a central location using an internet browser. So it’s no wonder that the Geiger group of companies also want to use the proven Tally T2150S dot matrix printer at other construction sites too.